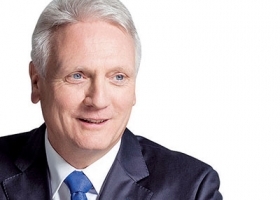 Winfried Vahland, VW's new North American chief, is respected by the German financial community and liked by workers. BERLIN -- Winfried Vahland, Volkswagen's new North American chief, is a former General Motors executive who won his spurs reviving VW's business in China and later boosting its Skoda subsidiary in the Czech Republic. The 58-year-old executive has proven himself as an effective cost cutter and savvy product thinker who can also grow a brand. In fact, Vahland did so well in his two big jobs he was mentioned as a possible successor to Martin Winterkorn when the group CEO was ousted in the wake of the diesel test-rigging scandal. Starting in November, Vahland will be based at VWoA headquarters in Herndon, Va., heading a newly created unit comprising the U.S., Canada and Mexico. As a member of VW's brand management board, he will give the company's U.S. executives a direct line to senior leadership. Michael Horn, CEO of VW Group of America, will report to Vahland. Despite his key jobs, Vahland has largely stayed out of the spotlight -- unlike the more charismatic Matthias Mueller, VW's new CEO, and Audi's polished CEO Rupert Stadler. But he is well respected by Germany's financial community, and well liked by employees. An executive who works closely with Vahland said he "encourages people to come with new ideas during meetings, and he doesn't put himself out in front of the team. Almost every Monday morning at 7 a.m. you can find him on the soccer pitch we have next to the plant here [in Mlada Boleslav, Czech Republic] where he likes to play a game with his employees." Vahland studied both engineering and economics in Germany before receiving an MBA from General Motors Institute in Flint, Mich. He launched his auto career at GM in the 1980s, holding posts in both manufacturing and finance before joining Audi in 1990. In the U.S., he'll be confronted with a situation similar to what he faced during his first major assignment. In July 2005, he was picked to lead the group's operations in China. At the time, VW was suffering from high costs, aging products that in part did not reflect local market tastes, and an unprofessional dealer network. Vahland stopped capacity expansion, cut back on bloated inventories at VW's two competing joint ventures, and drafted a plan to cut material costs by 40 percent by 2008. By localizing higher levels of content and bundling purchasing, he was able to restore Volkswagen's competitiveness. He also added 10 new models designed for Chinese tastes. In September 2010, Vahland returned as CEO of Skoda, where he had previously worked as finance chief. Since then he has transformed the Czech carmaker into a volume and profit driver for the group, upstaging even the VW brand with more appealing designs at affordable prices.